Michael Stewart, head of leasing, specialist fleet sales and rental, Nissan GB. Nissan Motor (GB) Limited has announced two new appointments designed to strengthen its fleet sales operations. Michael Stewart is appointed to the new position of head of leasing, specialist fleet sales and rental, and will be responsible for building relationships with UK leasing companies. Stewart takes on his new position from his former role as network sales director at NMGB. 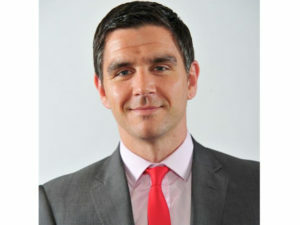 Also joining the business as Nissan’s new network sales director is Andrew Sellars, who has recently returned to the UK from Volvo Car Group, where his latest position was of vice president – commercial operations, based in Thailand. 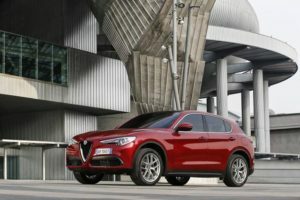 Alfa Romeo’s first SUV, the Stelvio, will be available to order from September, priced from £33,990 on the road, the carmaker has announced. The UK range will include Stelvio, Super, Speciale and a launch-edition Milano Edizione, offered with a choice of two 2.0-litre petrol engines with 200bhp or 280bhp, and two 2.2-litre diesels at 180bhp and 210hp. All versions include an eight-speed automatic gearbox, and all except the lower-powered diesel are equipped with four-wheel drive. The two-wheel drive diesel emits 124g/km of CO2 and return 60.1mpg, compared to 127g/km and 58.9mpg for the four-wheel drive version. The tuition takes place in the driver’s own car, and lasts for one hour 15 minutes. IAM RoadSmart is offering 100 free one-to-one driving tuition sessions locally to drivers in Portsmouth and Southampton – before the scheme is rolled out nationwide. Any new drivers or those that have had an incident or near miss recently are encouraged to apply for a free session to help with their driving skills and confidence levels. The tuition will take place in the driver’s own car, and the expert assigned will advice and tips on one of seven key areas identified by IAM RoadSmart as being of concern to a number of UK drivers today. The available modules focus on: managing distractions, motorway driving, driving in towns, driving on country roads, managing overtaking, parking and managing speed. The modules usually retail at £49 each. The 100 free modules are available from 20 July – 4 August and are being offered on a first come, first served basis by calling 0300 303 1134, quoting ‘Solent Module Offer’. More information can be found at: www.iamroadsmart.com/on-road-offer. FleetWave can be used to manage vehicle servicing, MoT renewals and compliance. 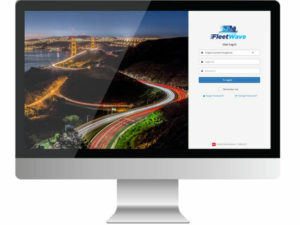 Chevin Fleet Solutions’ fleet management software will support the Driver and Vehicle Standards Agency’s (DVSA’s) pilot scheme to speed up roadside vehicle checks. Currently, when DVSA operatives stop a vehicle for checks they look at the vehicle’s safety, inspection, MoT and servicing records, as well as driver compliance, tachograph and defect reporting. For many fleets this can mean significant downtime which affects operational efficiency. The development of the ‘Earned Recognition’ pilot scheme means that the DVSA will have access to automated driver and vehicle records – all of which will be audited and sent from FleetWave – that the vehicle in question is compliant and legal. FleetWave will automatically export compliance rate percentages in a colour-coded traffic light system to DVSA inspectors, further streamlining the process for auditing fleets. The scheme is currently under development, and Chevin reports that it is in talks with a number of clients, “some of them very large, very well known brands”, about joining the scheme. Perrys now has 52 dealerships operating at over 32 locations nationwide. Perrys, one of the largest independent vehicle retailers in the UK, has renewed its exclusive remarketing relationship with Manheim for its part-exchange vehicles. 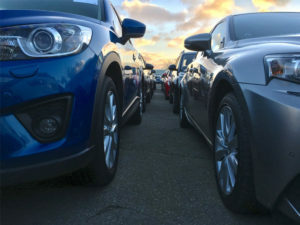 The deal will see around 13,000 vehicles continue to be sold through Manheim’s car and commercial vehicle auction centres across the UK until the end of 2020. Headquartered in Northampton, Perrys now has 52 dealerships operating at over 32 locations nationwide, with franchises including Vauxhall, Peugeot, Citroen, Fiat, Seat, Renault, Mazda, Kia and Ford. Manheim has sold part-exchange vehicles on behalf of Perrys for 17 years, with cars sold at its Leeds, Mansfield, Northampton and Wimbledon auction centres and vans sold at its dedicated van auction centre in Shepshed. Training can take place in drivers’ own cars. The AA Trust is to begin a pilot programme, offering free electric vehicle driving lessons in Milton Keynes to demonstrate how to get the best performance of the technology. 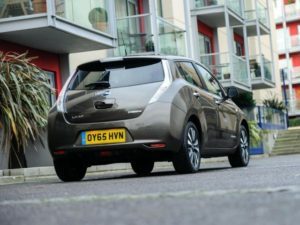 Launched at the Electric Vehicle Experience Centre and co-developed with charging point supplier, Chargemaster, it follows a recent AA Populus survey which showed a third (32%) of drivers wanted to learn again, but in an electric car. The pilot will take place around the Milton Keynes area, where the centre is based, with plans to roll it out nationally through the AA Driving School and Drive Tech trainers.